The 2018 Calgary Sponsor and Beneficiary is the Calgary South Asian Lions Club. From the earliest days the Lions Club has been known for their philanthropic efforts locally and across the country. Your Local Lions Club sponsors a range of activities and programs that include services for children and their families needing specialized medical treatment and related transportation. Also in Calgary we are pleased to continue our ongoing support of Kids Up Front Foundation with a generous contribution of donated tickets. Please see details on Kids Up Front Foundation below. (RMHCNA) is a home away from home for families with seriously ill or injured children seeking medical treatment in an Edmonton facility. ‎RMHCNA is a comforting and affordable place to stay during treatment, but we are more than just a roof over our families’ heads, we provide programs and services to help families resume normalcy. The generous donation of tickets to the 2018 Royal Canadian Circus will give our families a much needed moment in time to feel that normalcy. If you would like further information about RMHCNA please visit us at www.rmhcna.org. Also in Edmonton, we are pleased to continue our ongoing support of Kids Up Front Foundation with a generous contribution of donated tickets. 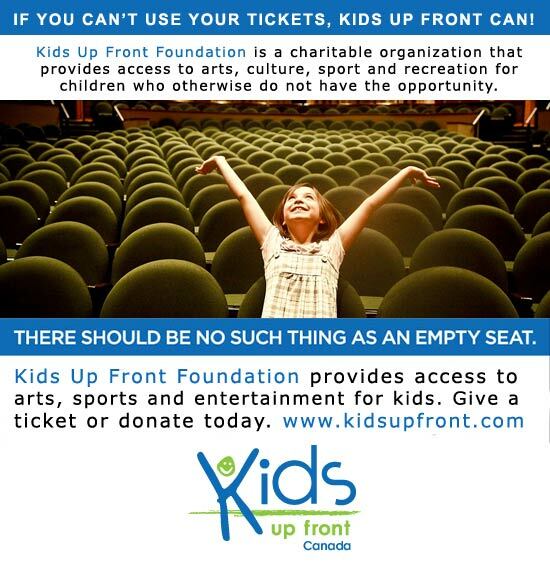 Also in British Columbia we are pleased to continue our ongoing support of Kids Up Front Foundation with a generous contribution of donated tickets. You are very generous with your donation of 1000 tickets! Yes you may use our name /logo in your materials as your charity of choice, we are very grateful. Thank you again for thinking of us for your event, we are truly thankful! Also in Ontario…Toronto (GTA)… we are pleased to continue our ongoing support of Kids Up Front, with a generous donation of tickets from our corporate sponsors. Kids Up Front Foundation, has once again been selected to be the designated recipient of tickets to the 2018 Royal Canadian Circus. 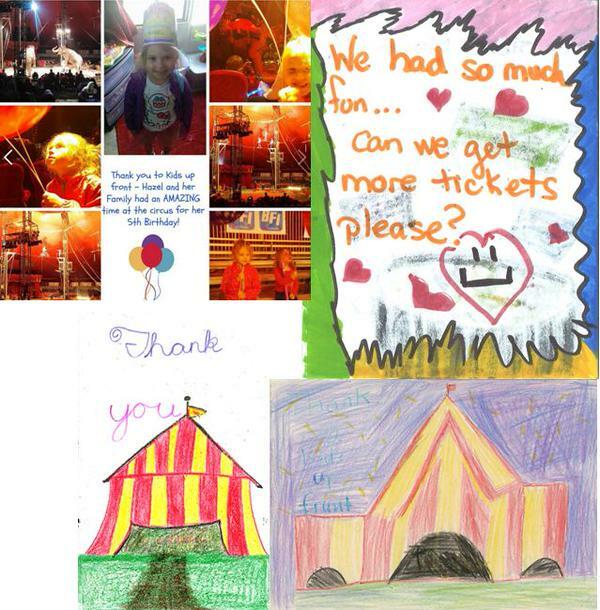 Over the last 4 years, over 20,000 circus tickets have been donated by the organizers to Kids Up Front Toronto. Kids Up Front programs benefit everyone and provide an easy way to give back to the community – with no costs attached. Seats are filled, and the tickets go to deserving children. It just doesn’t make sense to throw away a ticket when there are so many who can benefit. We know these opportunities make a difference. Our charitable agency partners have neither the time nor the budget to secure these kinds of opportunities for the kids – their focus is on providing food, shelter, counselling and clothing. However, they continually tell us that this “nourishment of the spirit” is exactly what so many need in order to cope, heal and “fit in”. Our child and youth serving agencies are always thrilled to hear the circus is coming to town. We hope that our new partnership with festivalXpress will help us send more deserving children than ever before to experience the magic of the Royal Canadian Circus! WE LOVE IT WHEN THE CIRCUS MAKES PEOPLE HAPPY! CHECK OUT THE thank-you WE RECENTLY RECEIVED FROM Kids Up Front Calgary!